Post office sea freight has the slowest arrival time of all options. The Container is on the water the same time as with a Forwarder. The extra time comes in filling and unpacking the container with so many small packages of hundreds of customers. Sea Freight via the Post Office usually takes 2 to 3 months. The good new is that you can send even a single package this manner, when a forwarder might consider the shipment too small. Great for heavy, bulky items that you aren't in a hurry for. Also develops a Zen for patience. All packages over 2kg shipped non-EMS have a government tax of RMB100 (US$12.33) added. Sea Freight sent Registered and must be signed for at your door. 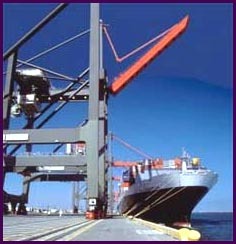 However, Sea Freight cannot be tracked online. Add 1% of value for optional insurance. No insurance at your risk. Delivery directly to your door by your local postal person.